Thus, a 3D printer adds layers of material to a printed object rather than subtracting them from a piece of uncut material, such as wood or plastic. 3D-printed objects are frequently made from durable high-grade polymer material that can last for a long time before showing signs of wear and tear. More applications for 3D printing are being found on a frequent basis, and the technology holds plenty of potential for advertising and marketing purposes. Only a few years ago, 3D printing equipment and materials were prohibitively expensive for most small business owners and consumers alike. Those costs have since dropped to a noticeable degree, and this technology has nearly limitless creative possibilities. Instead of standard promotional products, business owners can design and fabricate custom items that no one else would be able to find from a wholesaler. Examples include computer tablet stands, coffee mugs, key chains and even jewelry. For companies whose owners are looking for newer, edgier alternatives to standard printed business cards, 3D printing can render stand-out objects such as cubes or even puzzles emblazoned with a company’s logo and contact information. Brick-and-mortar store owners can also bring 3D printing innovation to their sales floor displays and window displays. Coming up with original, eye-catching displays can become a challenge after a certain length of time; only so many unique display possibilities exist with materials such as banner stands, fabric draping and mannequins. 3D printing can render display pieces in a much bigger variety of shapes, sizes and concepts. Several business-to-business printing companies now specialize in custom 3D display items and can help each client get started with design ideas. 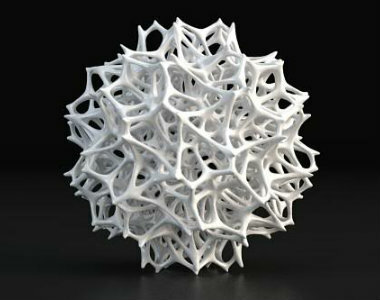 One of the main advantages of 3D printing is a lower overheard cost when compared to traditional means of fabrication. A modern 3D printer will cost a business owner a few thousand dollars on average, and the return on that small investment will appear relatively quickly. The small sets of nozzles and other hardware in a 3D printer allow for intricate shapes and designs that would be quite difficult or even impossible with traditional subtractive fabrication techniques. 3D printers have also been refined and calibrated to the point where they can render a variety of finishes on objects, giving them the appearance of chrome, glass or any number of other choices. Since this process is additive, 3D printing noticeably reduces raw material waste each time a design is printed. Less of this waste is more environmentally friendly and better for a business owner’s budget as well. Additional benefits of 3D printing include the ability to print on demand and create small product counts with no increased costs, the reduced risk of depleting inventory and the ease of making quick changes to an object design with little wait time. For special events, possibilities for marketing with 3D Printing are even more attractive to small business owners due to this increased turnaround efficiency for creating unique promotional products. The same benefits apply to regular marketing efforts with storefront displays and attention-grabbing 3D printed business cards.